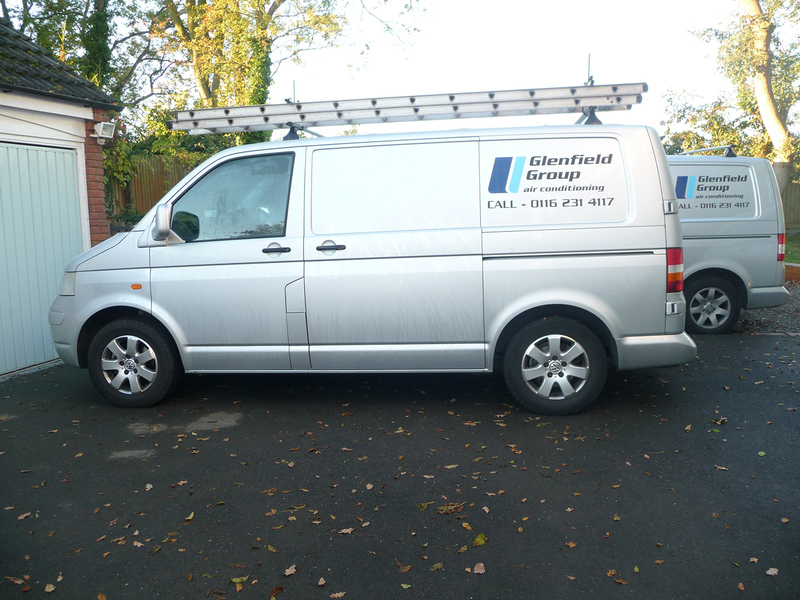 In operation since 2002, Glenfield Group has a regular client base from both businesses and homes across the region and nationwide. With a specialism in providing bespoke air con systems for premium retail stores, the Glenfield Group is at the cutting edge, providing effective yet stylish systems for the likes of Christian Loboutin, Liberty’s and Alexander McQueen. Priding ourselves on providing a personal service at competitive prices, we have a number of fully equipped service vans available. With all our units coming with a three year warranty, you can have confidence in the quality of our workmanship. Glenfield Group is an ISO 9001 registered company.This means our quality managements systems have been assessed and approved by QMS to the quality management systems, standards and guidelines BS EN ISO 9001: 2000. For a quote, consultation or for advice on air conditioning, including the new EU regulations that come into force in January (R22 Phase Out), contact us on 0116 231 4117, [email protected].